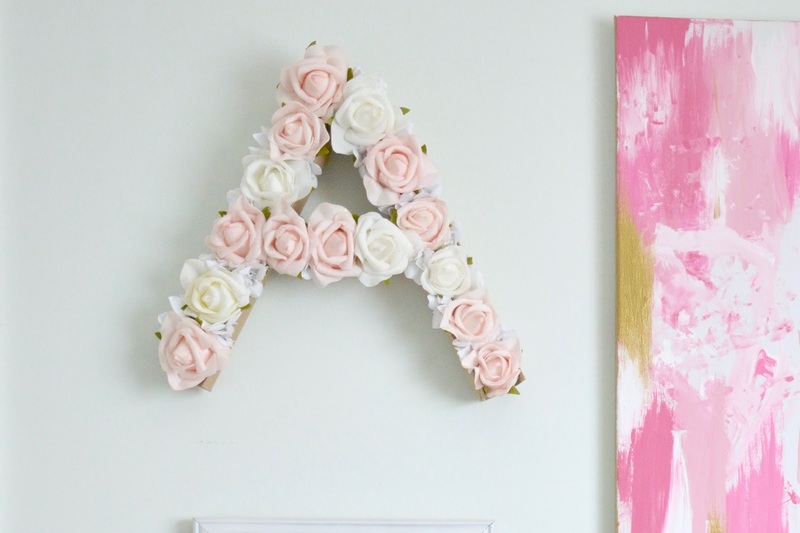 I’ve been having fun adding some finishing touches to Ari’s room now that her big girl bed is set up and I couldn’t resist looking for some fun and easy DIY projects on Pinterest that I could pull off. 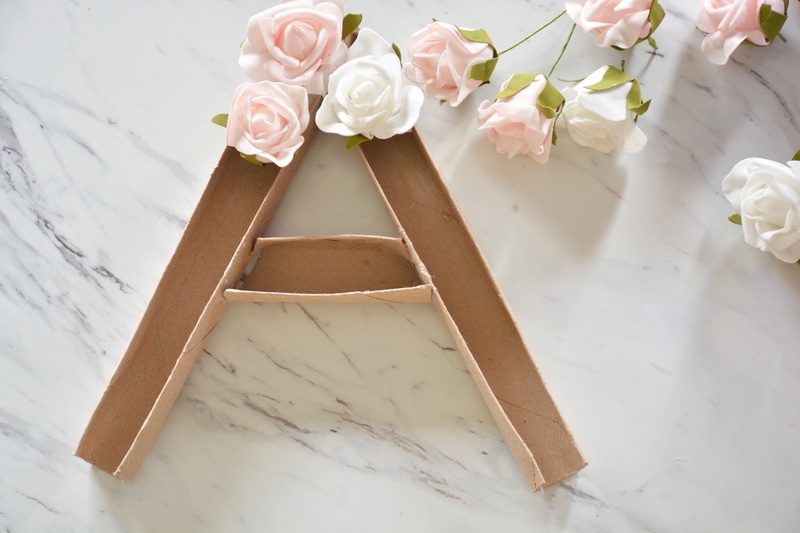 This flower monogram was super easy and cost peanuts to make (I think I maybe spent $5 on materials at the dollar store- everything else I had on hand). 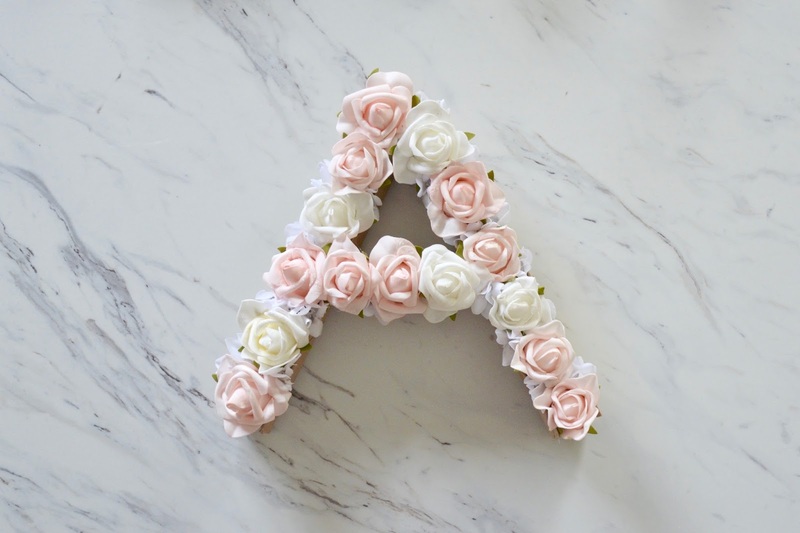 To personalize, you just pick out fake flowers & colours you like (how pretty would this be to make with fresh flowers for a party or shower???). See below for instructions. 1. 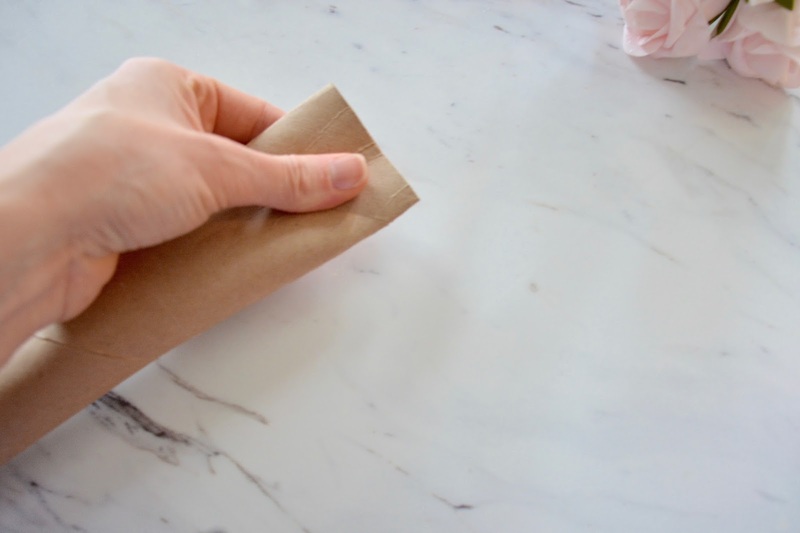 Flatten the tube in half to create a crease, then do the same in the other direction so the creases from your first fold line up- when you hold up the tube it should be square- shaped instead of round. 2. 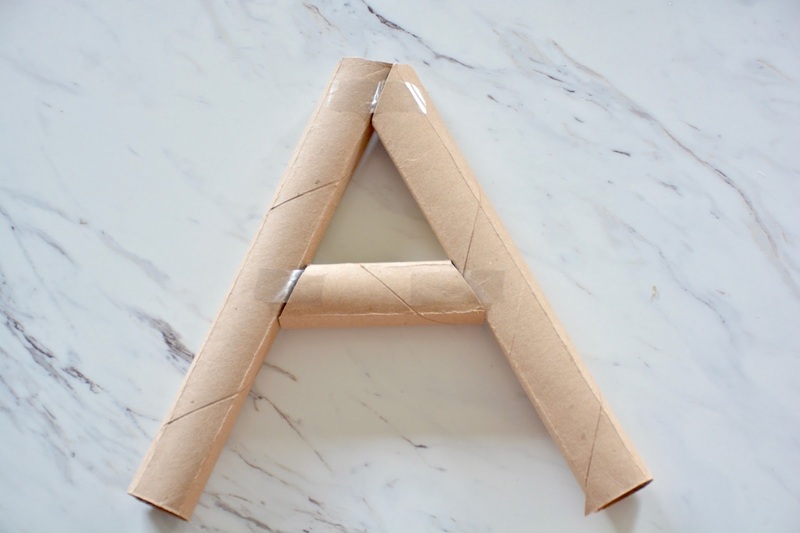 Using the exacto knife/ scissors, cut the tube into the pieces to make your letter. 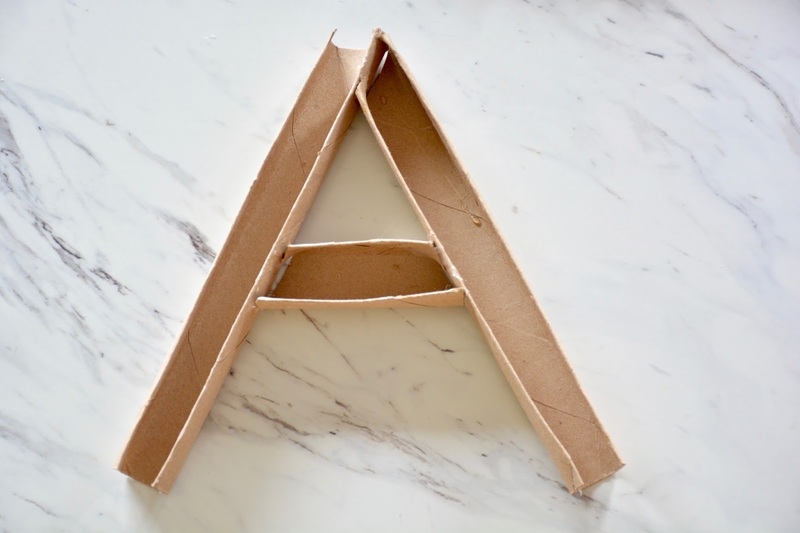 It may help to draw a letter on a piece of paper so you can lay out the pieces as you go. 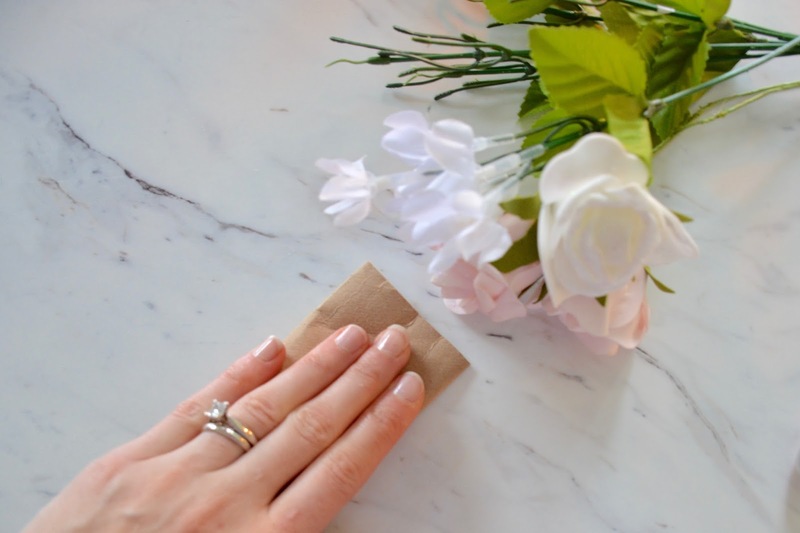 Tape together to hold shape. 3. 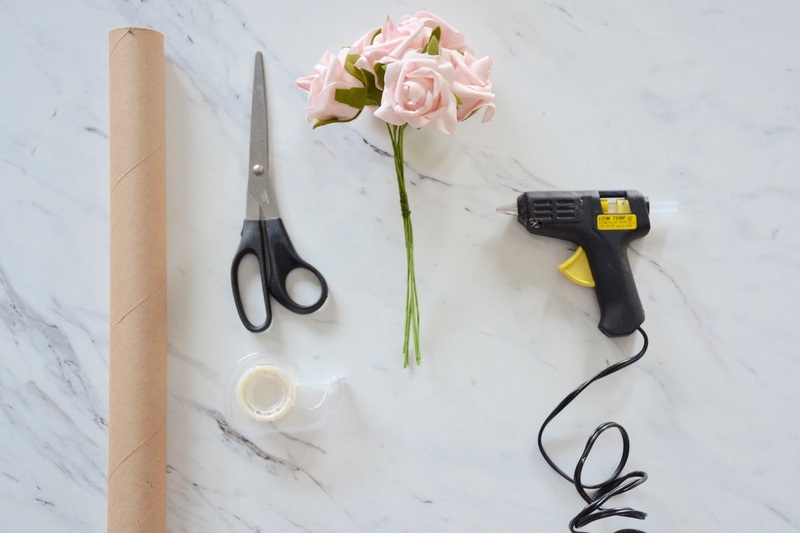 With your glue gun, glue the pieces together and allow to cool. 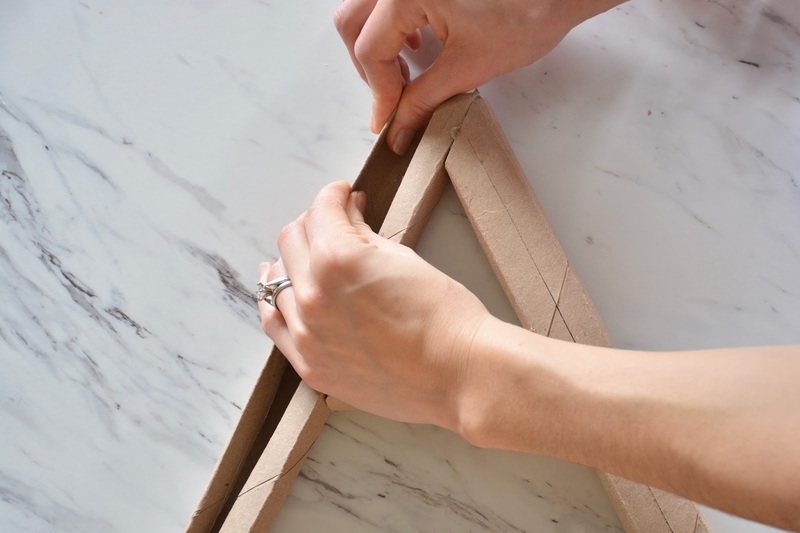 Then use your exacto knife or scissors to cut down the middle of the cardboard. 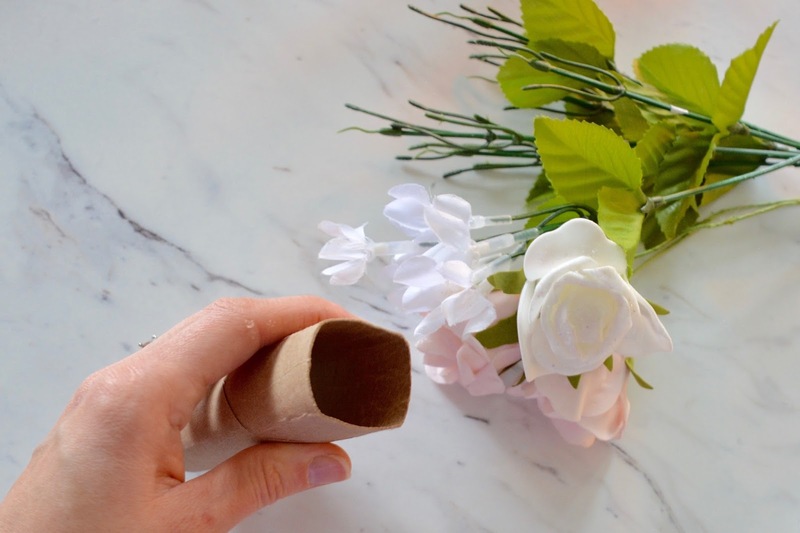 Fold the edges in/ down and secure in place with more hot glue. 4. Now for the fun part! 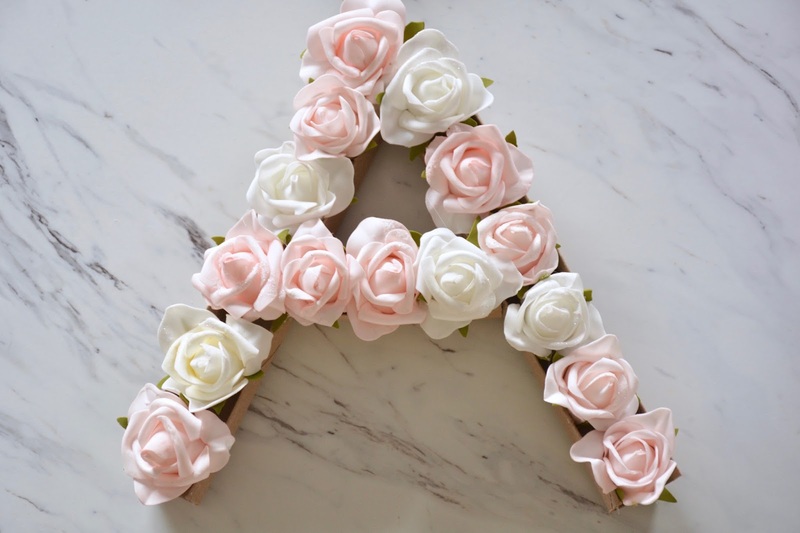 Trim the stems of the fake flowers so you can fit them into the letter (the tops of the flowers should sit a little above the cardboard). 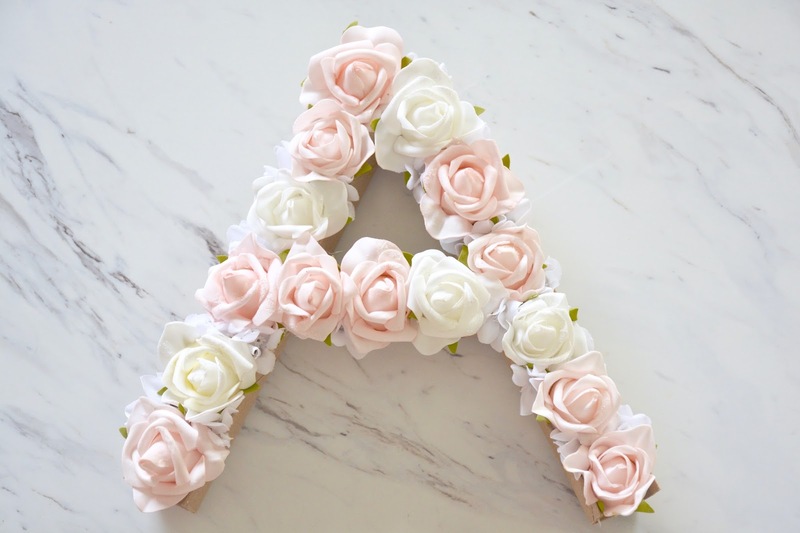 Place the flowers in the letter to check for spacing, then use the glue gun to secure them in place. Allow to cool. 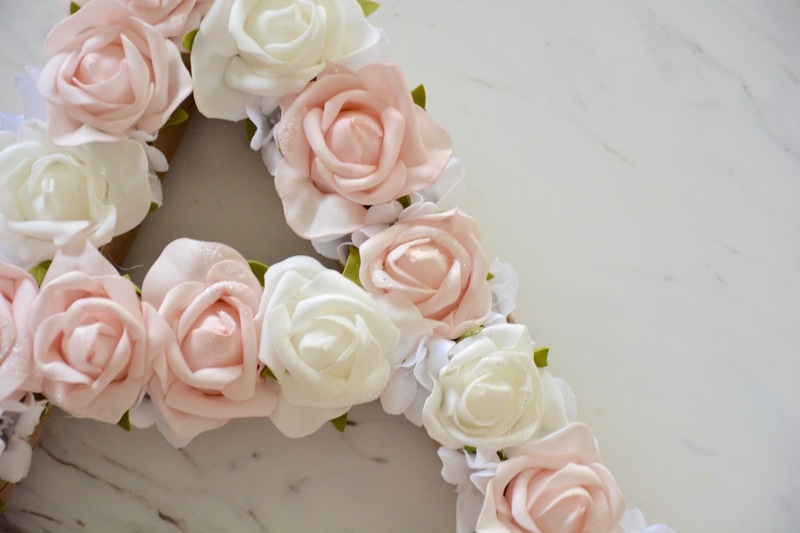 If you prefer a fuller look, add some smaller flowers to fill in the gaps. 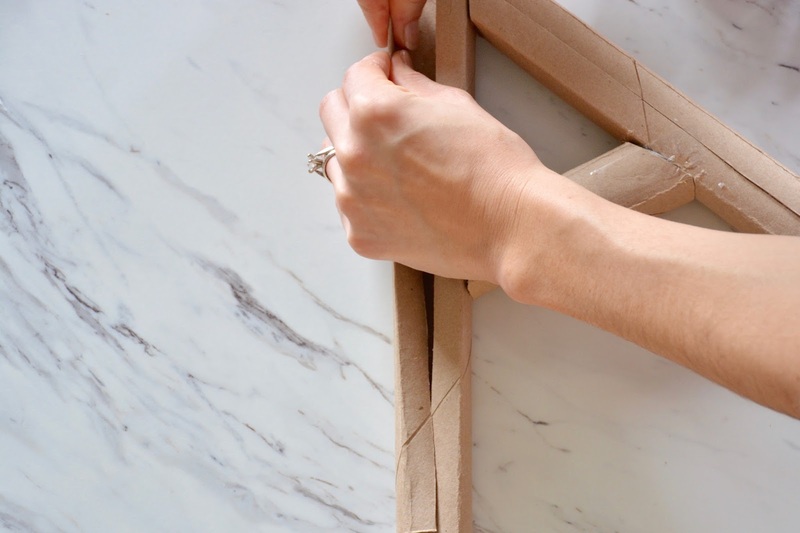 To hang, you can simply cut a notch in the back of the cardboard to go on a hook, or glue a loop of ribbon/ twine. 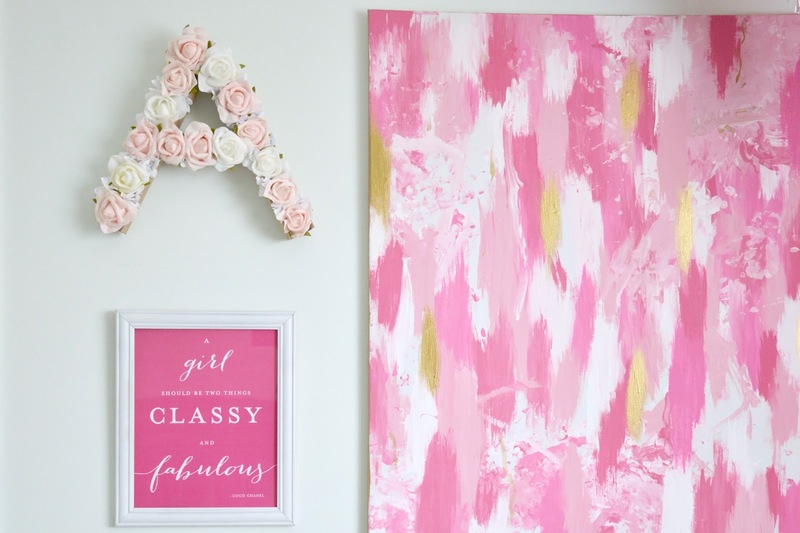 These are also pretty displayed on vanities/ dressers.